Fast delivery. Items as described and delivered within the hours I wanted. Great service. 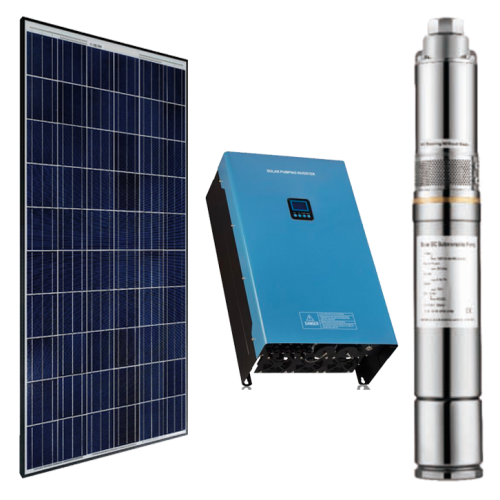 Includes Solar Pump Inverter and Submersible Water Pump. Convert the DC power of solar array into AC power to the water pump. Soft start and Variable Frequency drive the pump. Second Generation of MPPT Function: Efficiency upto 30% higher with more output water flow. One Key for Startup/ Stop, support to also adjust the output water flow. Fully automatic operation, Non-parameters to setting, easy for users. Option of 2 different pumps: Please let us know which you prefer when ordering. This is mains 230V cable to use for power from your inverter. HO7 is the standard hard wearing cable which is used on all festival and event sites. Temp. Rating: 85˚C Maximum Operating Temp. Designed for upto 16 Amps AC.